Retired contractor Robert built this greenhouse for his vegetables using Kee Klamp and sent us the photos. Galvanised fittings and tube are resistant to rust, therefore they make the perfect material to use for outdoor structures. There are no standard solutions when it comes to Kee Klamp: any structure is possible, under any configuration and dimensions. Robert decided to go for a rectangular greenhouse which uses a total of 8 anchoring points (uprights). If you want to go for a similar structure, you need to make sure that you properly anchor it to the ground. You might need to set the uprights into concrete, which is what Robert did with his greenhouse. Concrete needs to be poured into 300ml cubic shapes, one for each upright. This will give your structure stability. The roof will also need enough slope, so that water is not trapped onto the roof material. You now need to measure the area you want to build your greenhouse on. This will give you an idea of how much tube you should order. Robert’s greenhouse is around 5.5m long, 3m wide and 2m tall. For a sturdy structure, we recommend you use size 7 or size 8 tube and fittings. You can also use flanges at the bottom of each upright to anchor these to a solid surface (such as concrete). 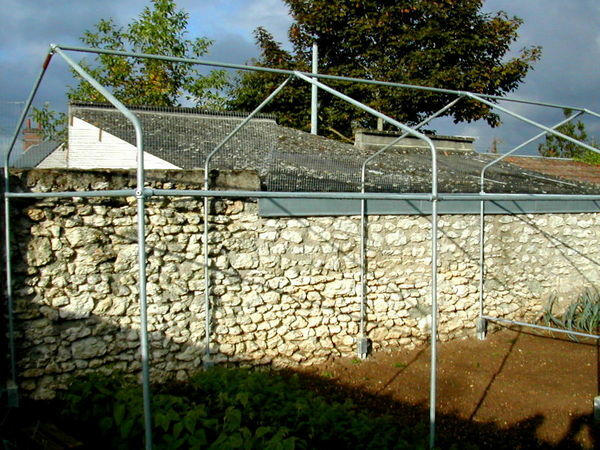 However, as Robert needed to fix the greenhouse into soil, he had to pour concrete blocks into the ground. Whichever your choice, just make sure that you do anchor the structure into the ground properly, as the wind might make it very unstable otherwise. 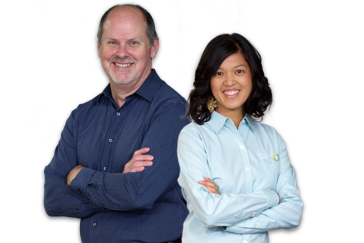 You can order all materials on our website. Step 5. Add the greenhouse cover and start planting! 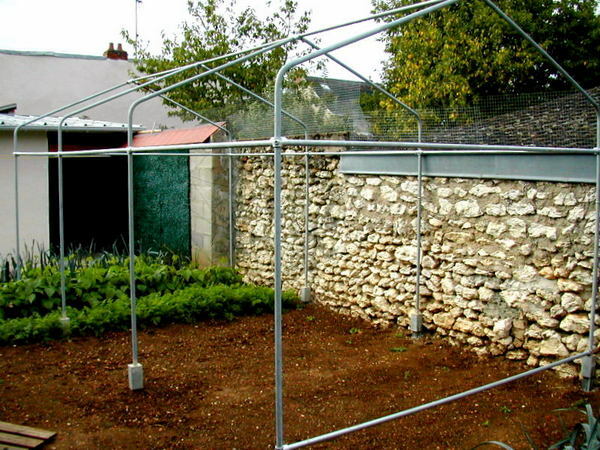 Once you put everything together, it is time to find a suitable cover for your greenhouse. 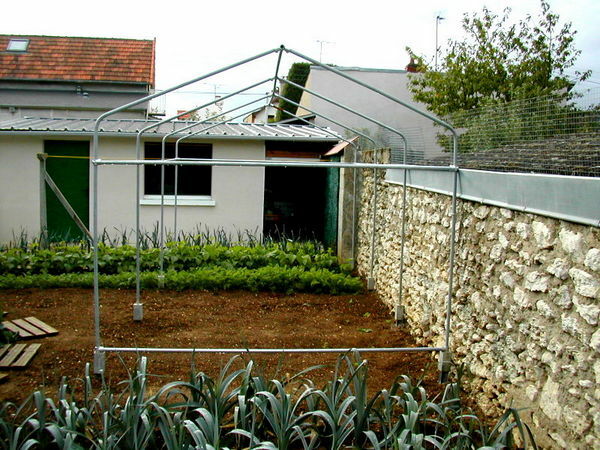 Attach it to the structure and start enjoying your greenhouse. Looking for DIY garden furniture ideas? Check out these 5 ideas and be inspired! We show you how to build tables, stools and benches that will last you a lifetime.